It was 102 yesterday around these parts. Too early for this kind of heat. 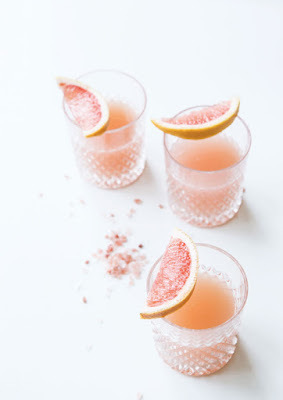 Add tequila, grapefruit juice, lime juice, triple sec and agave into a shaker with ice. Shake. Take lime wedge and run around lip of glass. Place salt on plate and swirl the cup lip in the salt. Add ice to glass. Strain cocktail shaker into glass. 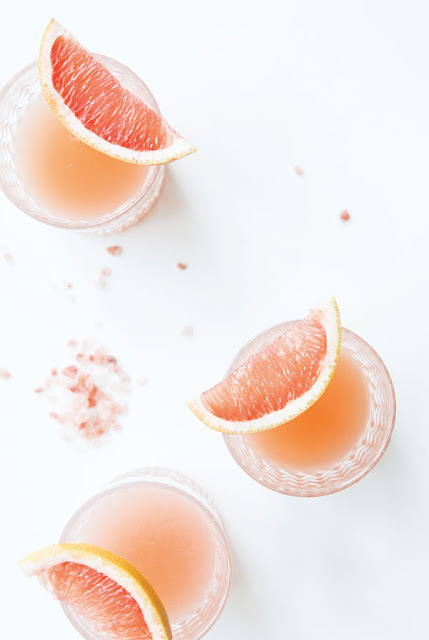 Garnish with grapefruit. I'll take a glass if you're pouring.